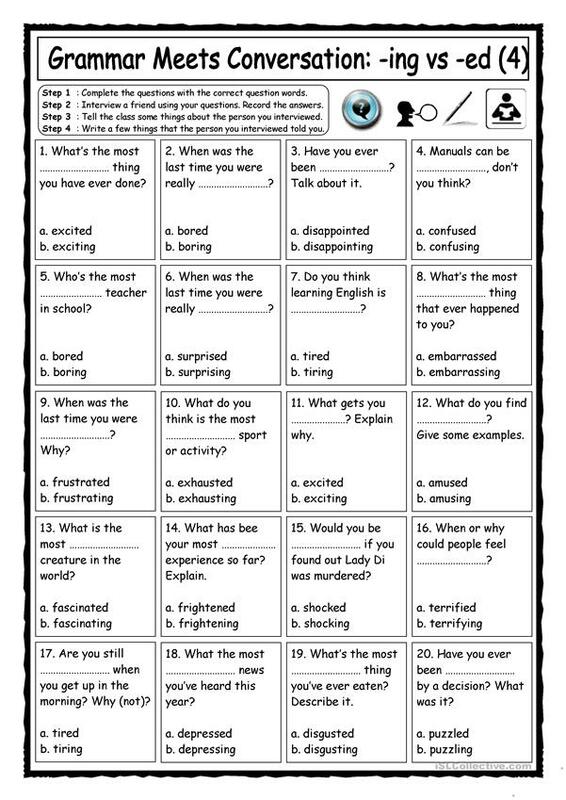 Grammar-based themed worksheet aimed at practising -ing/-ed adjectives, speaking, listening, asking for clarification, asking to repeat, note-taking, short presentations or talking in front of the class and writing a paragraph. Fully editable, printer-friendly colours (background colour does not print) and plain vanilla version (without any colour or clip art) included on 2nd page. Answer key provided. NOTE: If you want students to practise more listening you could cut the ws into two halves (or use 2 wss) and let Ss interview each other without them having seen the questions beforehand (pair work). 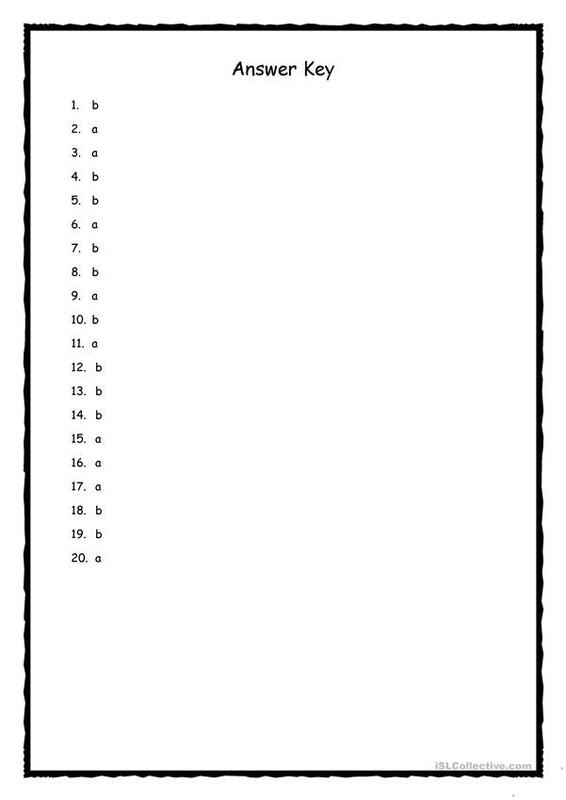 Also, you could use more of these worksheets and do a group work exercise. This downloadable printable is a great resource for business/professional students, high school students, elementary school students and adults at Elementary (A1), Pre-intermediate (A2) and Intermediate (B1) level. 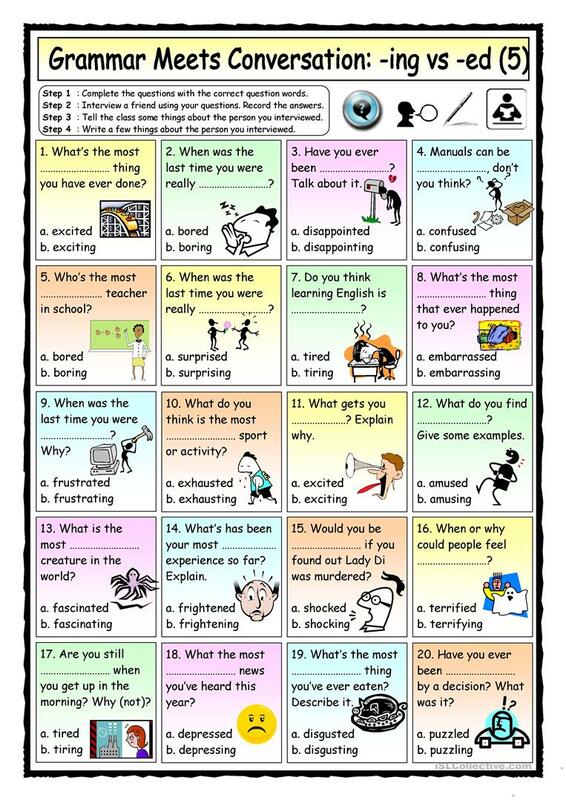 It is a useful material for consolidating Adjectives, Adjectives with –ed or -ing and Questions: WH questions (open-ended questions) in English, and is excellent for enhancing your students' Listening, Speaking, Reading and Writing skills. It includes the solutions, too.